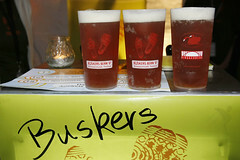 The musical performances of Dr. Busker are often accompanied by the consumption of Real Ale. 3 pints of Buskers Beer. It was the words of an old song that went "Beer, beer, beer, beer, beer, beer, beer! ", and that just about sums it up. 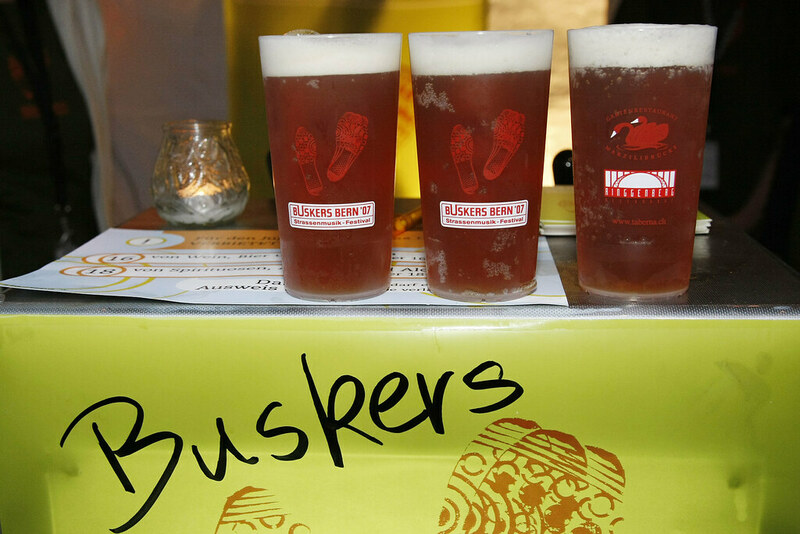 Beer is part and parcel of Dr. Busker's performances, often calling for a "Beer Break" during a long session. But not just any beer, oh no, it has to be Real Ale, none of your fizzy foreign p*ss here. When Dr. Busker started out playing the piano it was to accompany film shows for the the Rushden Historical Transport Society, who later purchased a piano for their social club bar to enable the society to have 'singsong' nights. "It was at this stage," states Dr. Busker, "that I discovered a liking for beer." As he was invited to play at other venues, the invites were accompanied by offers of more beer. Most steam rallies are noted for both the quality and the quantity of the beer they serve, and many people who don't give a fig about steam engines (and often some who do) can be found in the bar. As for the members at Rushden, who introduced Dr. Busker to the virtues of the beverage, they still manage to consume over 2,500 gallons of their favourite brew every year. To serve good beer is to make each pint taste as good as the last. To serve great beer is to make each pint taste better than the last. "We should look back in history at the connection between beer and the steam engine. Richard Trevithick invented his steam road carriage, and the first journey he and his mates made was to the inn. This is the first known movement of a steam vehicle in this country on the land. I maintain that beer drinking and steam engines have been linked since those pioneering days."